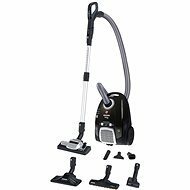 Bag vacuum cleaners are the most common vacuums used in house cleaning. Dirt and dust gets deposited in a bag, which you have to occasionally change. 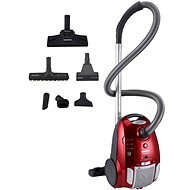 When buying a bag vacuum cleaner, focus on the filtration type, bag size, and the attachment type. So, what should you know to choose the right one? 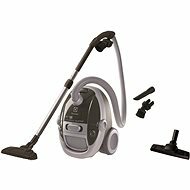 Classic vacuum cleaner (canister) - has the motor and dust collector in a separate unit, mounted on wheels. The canister unit is connected to the vacuum head by a flexible hose. 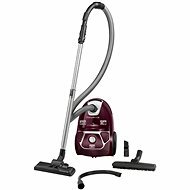 Upright vacuum cleaner - both the motor and dust collector are located in the main vacuum cleaner body. 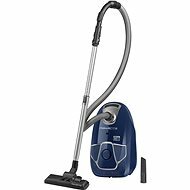 Since the air does not pass through a long hose, upright vacuum cleaners require less power than the canister type. Not a key parameter, surprisingly enough. 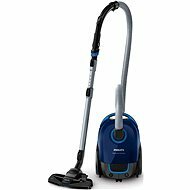 What really matters is the suction power, which typically corresponds to 1/3 to 1/5 of a vacuum cleaner's power. 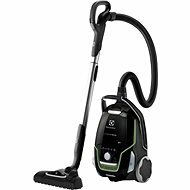 Modern and expensive vacuum cleaners are usually made to be as environment-friendly as possible, so their manufacturers try to maximise the suction power in relation to the overall power consumption. 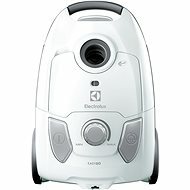 ETA and Philips are the only manufacturers that consistently list the suction power of their devices. Remove the bag when it’s full and insert a new one. 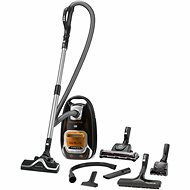 There is no single universal format for vacuum cleaner bags, so make sure to purchase the bags compatible with your device. The bag also works as an extra filter, so we recommend purchasing high-quality textile bags. 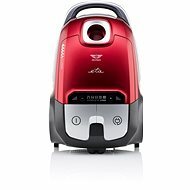 If you want some tips on how to buy the right bags, read our How to choose a bag vacuum cleaner article . The quality of the filtration affects the overall efficiency of the vacuum. If somebody in your household suffers from allergies or asthma, we recommend choosing certified HEPA filters ranked H13 and higher. Micro-filters - the basic micro-filter type. Made of fabric or foam. No certification. HEPA and EPA - certified filters originally developed by NASA. Bag vacuum cleaner filters use EPA 10-12 and HEPA 13 to 14 filters. A higher number indicates higher filtration efficiency. For those suffering from severe allergies or asthma, we recommend H13 HEPA filters and higher, as they can filter out bacteria along with their excrements. Water filtration - the air passes through a water tank, which absorbs impurities. You drain the water and wash the tank after cleaning. Washable filter - the filter is washable, so you don’t have to buy a new one. Washable filters can be of any type (including HEPA filters). 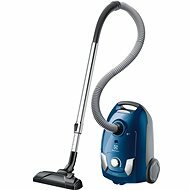 The noise for this type of vacuum cleaners ranges from 59 to 89 db. 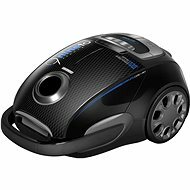 A vacuum cleaner with a noise level above 80 dB (about the same volume as shouting or a mobile phone ringtone) is considered noisy. Attachments are usually interchangeable. 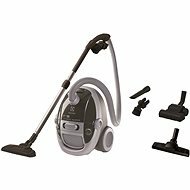 Choose the attachment to match the type of surface you are vacuuming. 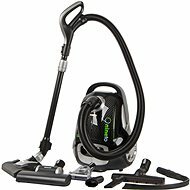 Floor (universal) attachment - a standard vacuum attachment included with most cheaper vacuum cleaners. 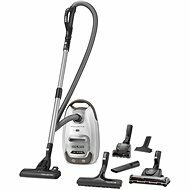 It has ejectable brushes, so you can clean both hard floors and carpets. 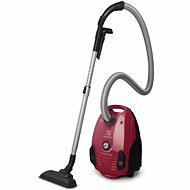 Turbo brush (rotating brush) - used primarily for cleaning carpets. 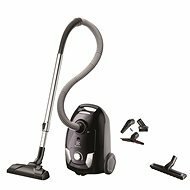 The attachment is equipped with one or more rotating brushes that comb the carpet fibres. The brush rotates under the force of the airflow. A good choice for animal breeders and pet owners with multiple pets. Electrical turbo brush - works on the same principle as a standard turbo brush. 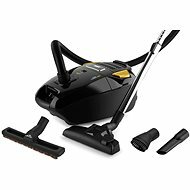 It has its own motor, so the brush rotates with a constant speed and provides better performance. 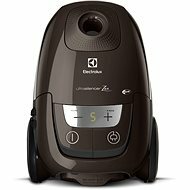 The electrical turbo brush is connected to the vacuum cleaner with a cable. A good choice for animal breeders and pet owners with multiple pets. Crevice tool - a narrow attachment designed for cleaning seats and other crevices. Small universal attachment - suitable for vacuuming dust on cabinets and desks. 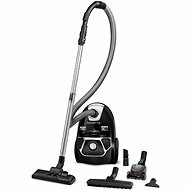 Bag volume - for home vacuum cleaners, the bag volume ranges between 1.5 and 5 l. Professional vacuum cleaners designed for cleaning public spaces are considerably larger and can have bags up to 18 l in volume. Weight - can be an issue if your house has stairs or the user is elderly. Generally ranges between 3.5 and 9 kg. Cable length - a long cable increases the cleaning radius and saves you from having to constantly switch sockets. 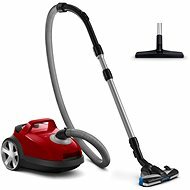 Depending on the model, cable length ranges from 5 to 15 m.
Bagged vacuum cleaner - Power consumption 650 W, washable hygienic filter 12, cable length 9 m, action radius 12 m, power regulation, telescopic tubes, parquet nozzle, DustPro floor nozzle, accessories, 2 in 1 accessories. 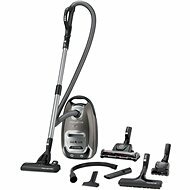 Bagged vacuum cleaners are efficient helpers for maintaining a clean home. Choose carefully and you’ll be rewarded by problem-free performances and easy manipulation. 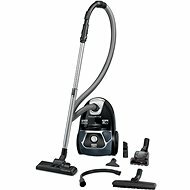 Bagless vacuums are especially suitable for cleaning coarser kinds of dirt. 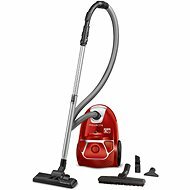 If you’re looking for a vacuum cleaner for common household cleaning, we recommend bagged models, as they trap and conceal dust and dirt effectively in bags, which you then dispose of without the need to clean the filter. In our wide section of vacuum bags, filters, and other accessories, you’ll find fitting options for the majority of contemporary manufacturers. We recommend opting for quality and time-tested brands such as ETA, Philips, and Sencor.